It is with great sadness that we bring you news of Abby's sudden passing. It is with great sadness that we bring you news of Abby’s sudden passing last night. After many hours of interventions to resolve severe colic and relieve her unimaginable pain, we made the very difficult decision to end her life with dignity and peace. We want to thank you for your prayers and support during the extremely difficult day for our Hope Reins family. Colic may be one of the most challenging equine illnesses since it can come on suddenly (as it did in Abby’s case) and with a wide degree of severity. 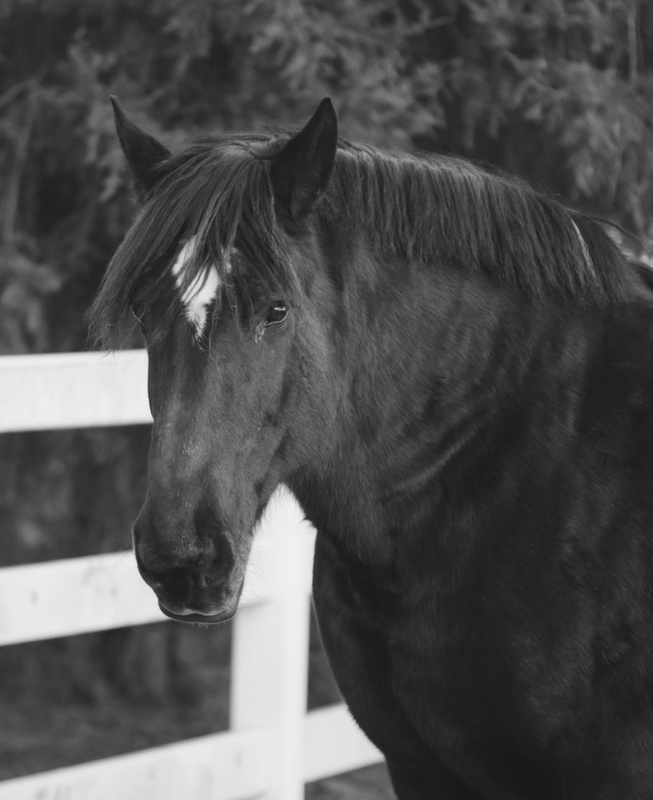 The doctors at the NC State Vet School suspect Abby had a small colon impaction, a type of colic with very few options for effective treatment. Since the digestive tract is connected as an entire system when one area is inhibited, things compound quickly and other parts begin to suffer. Facing limited options, Abby’s pain continued to intensify and after in-depth and honest conversations with the vets treating her, we chose to let her go. Abby held a big place at the Ranch, and her large, gentle, calming presence will be forever missed by us all. Her life was marked by joy – the kind she brought into the lives of so many people – especially our kids – and the healing they received from her beautiful spirit. In fact, her name means “My Father’s Joy.” And indeed it was God’s joy to bring so many people – especially our kids – comfort and a sense of His own presence through her life. It was our joy to know and love her for a time. And now it is His joy to have her for Himself. Thank you, friends, for all your love and support of the hope and healing Abby so beautifully embodied. Details on a Celebration of Abby’s life will be forthcoming. I have just finished JOEY, of course in tears during the last chapters. Because of it I found both Hope Reins and #JoeyTheBook websites. I love the horse biographies but wondered why you don’t have an ‘In Memoriam’ section to honor Speckles, Joey, Abby and any other horse angels you have lost over the years. To me it felt like something was missing. I will continue to follow you on Instagram and Facebook, plan on donating and if ever in the area will definitely visit. Thank you for your vision and work.